Here's how I clean my beautyblender and brushes (deep clean and spot clean) and dry them. You can use liquid cleaner (liquid brush cleanser, dish soap, facial cleanser, etc) but I personally love using solid cleaners. I love the beautyblender solid cleanser but recently I found Sephora one that does the exact same job but costs less. I usually deep clean my brushes once a week but I spot clean my brushes after every use. 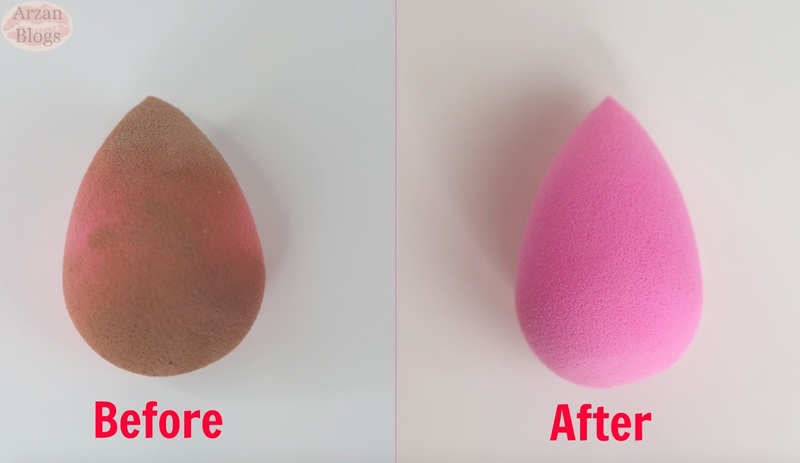 I also clean my beautyblender after every use. However, I deep clean my foundation brushes and concealer brushes after every week. Solid Cleansers: I personally prefer solid cleansers because they clean my brushes & beautyblender faster than liquid cleansers. I find they also easily remove the stubborn beautyblender stains. Sephora Collection Solid Brush Cleaner $14 USD ($17 CAD) - This is less expensive than beautyblender solid cleanser and does the job done. 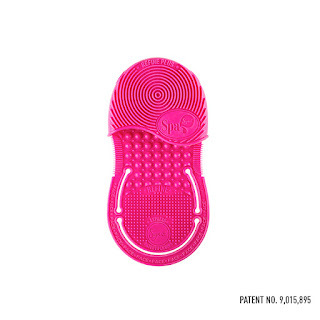 It comes with a silicone pad, which I sometimes use to clean my beautyblender. The only downside is the strong scent. It bothered me at first but now I got used to it. beautyblender solid cleanser $16 USD ($22 CAD) - This is my favorite! It also comes with a silicone pad like the Sephora one and cleans my beautyblender and brushes so fast. I love it! It's slightly more expensive than Sephora one though. Liquid Cleansers: I've tried using dish soap before and that works well with my brushes but it takes me longer to clean my beautyblender, so that's why I prefer using solid cleansers. Some people use facial cleanser or even baby shampoo but I haven't tried those products. I've used beautyblender liquid and that works well but honestly I still prefer solid cleansers. I use this all the time to deep clean my brushes and I love how my brushes clean so fast. Usually my foundation brushes take longer because I use liquid/cream foundations. However, the eye brushes and face brushed used mainly with powder products are so much easier to clean especially with this. I'm also interested in the mat that they have. 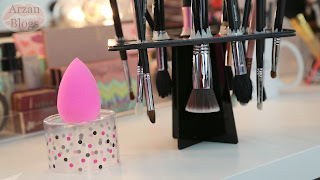 How to dry brushes & beautyblender? Don't place the brushes back in the brush holder because that can damage the brushes. You can place them flat on a table and if you want to retain the shape of the brushes, then make sure the bristles don't touch the table. 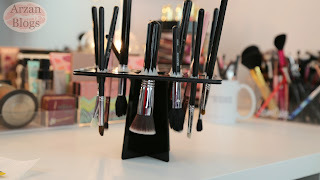 I recently discovered brush holders that can be used to dry brushes. These are now sold on my website (ships to U.S. & Canada). The one I used in the video has 26 slots and it retails for $22 CAD but I have another one available for $14 CAD. 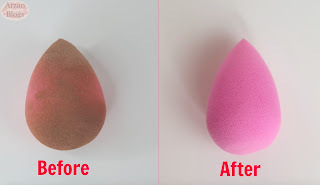 As for beautyblender, make sure you let it air dry. You can place it flat on a table or on top of the pedestal that comes with beautyblender. 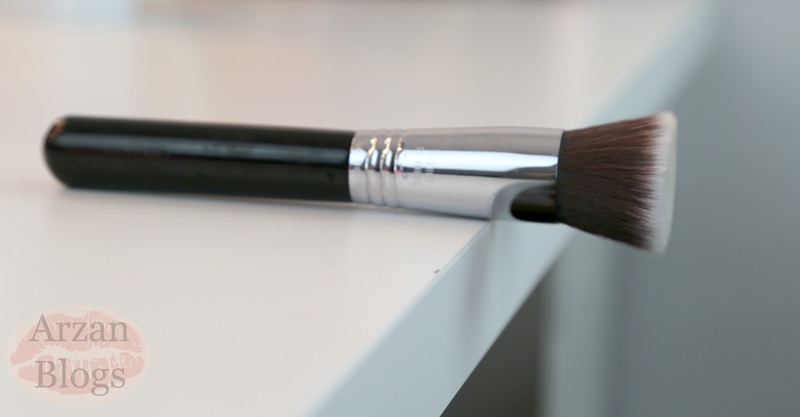 How do I spot clean brushes? There are many brush cleaners that can be used to spot clean brushes but my personal favorite is the Cinema Secrets Brush Cleaner. Cinema Secrets Brush Cleaner (travel size) $8 USD ($9 CAD) - This one cleans my brushes so fast and I love that it dries quickly. If you use liquid/cream products, then that might take longer to clean. However, I usually just deep clean my foundation or concealer brushes after every use. This also has a strong scent, which might be bothersome for some people.